Lois with her Intercambio Students from Japan, Brazil, Iran, Mexico, South Korea, Venezuela and Taiwan. Through a combination of her love of other cultures and her belief that inclusion is the best way for our country to succeed, Lois has become a sought-after teacher of English to the Immigrant population. Bruce and Lois teach 4th graders during the Tank's "Days of Sonic Learning”. 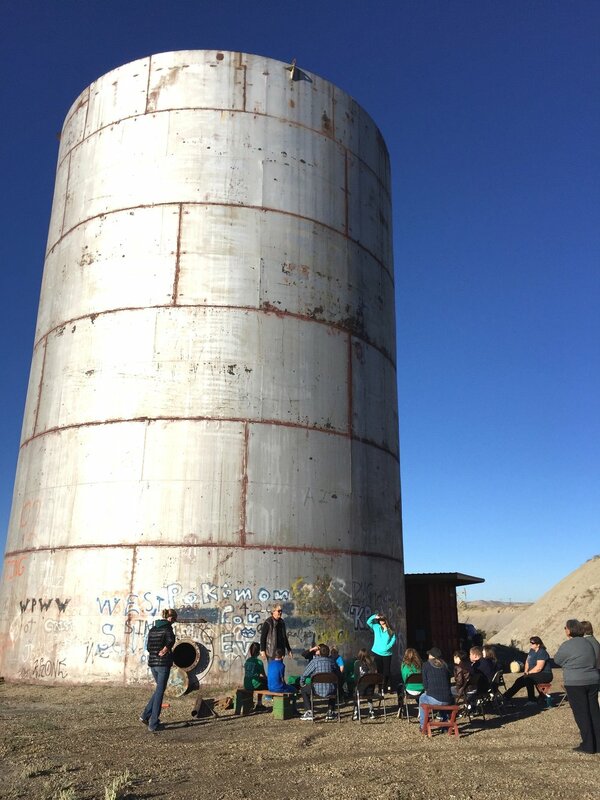 Since 2013, Lois has been a key player in saving and developing The Tank in Rangely, Colorado. An old 70’ unused water tank, it has become a world-class venue for musicians and sound artists. Feed My Lambs Students in Haiti playing their newly donated recorders under the direction of Mr. Kelly.